You can now mark on your calendars the release of the Bugaboo Bee plus – the official timings for Australia have been announced! The Bugaboo Bee Plus launched in the USA in April this year and we have just been notified by our friends over at Bugaboo Australia that we will see this gorgeous pram in our stores from July 2010. For those pregnant women, you can breath a sigh of relief. We first told you about the new version of the Bee earlier in March, outlining the vast improvements Bugaboo has made to the original. Here is a really interesting article which walks us through the changes of the the Bugaboo Bee and how Bugaboo designer Jaap den Boer came up with them. The highlights of what we love about the new Bee Plus are the bigger and more comfortable seat, ease of changing seat positions, and a newborn cocoon which is sold separately. Minimee has the new Bugaboo Bee Plus online now ready for pre-orders and is currently offering free shipping. 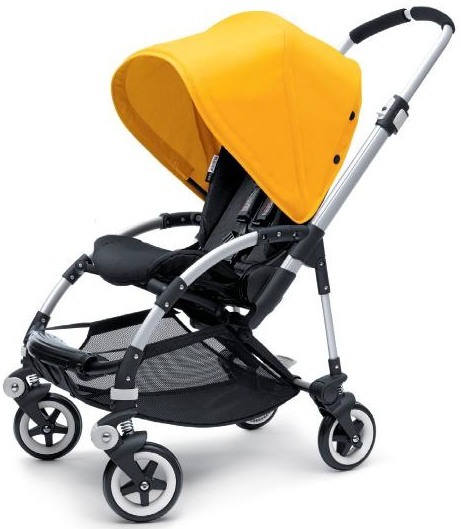 The price of the new pram is $1,119.00 and comes in pink, red, yellow, blue, khaki and black. If you live in Sydney, the Bugaboo staff will be at the Minimee store on Saturday 12 July for the first Australian preview of this new pram.